The English language assigns an identity to a perpetrator if the hideousness of their act, or crime, is sufficient. For instance, if you commit “murder” you will henceforth be known as a “murderer”. For misdemeanours of a more benign nature we assign more temporary “tags”. For instance, those who jump queues are referred to as “assholes”, or some other colloquial expression. I see the need to add to the English language, a word that does justice to the act of littering. We should definitely consider degrees of littering – without trying to justify any of it – because in the squalor of a squatter camp, or central Jozi where rubbish-bins overflow, one has some understanding of the act. However, it takes a special kind of callousness to venture into nature and drop your rubbish in a pristine environment. I consider the guilty to be “litter-shits” and those who drop cigarette buds get the special designation of “ash-holes”. 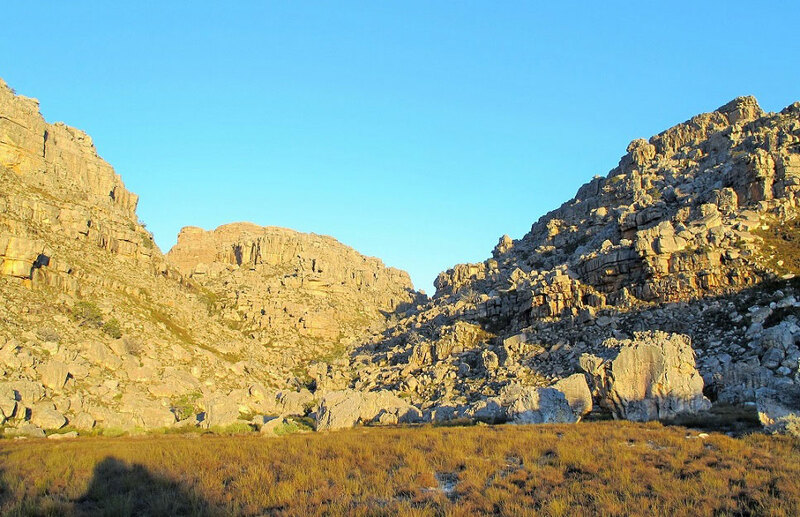 The most recent “crime scene” I visited was Boulder Camp, right next to Crystal Pools in the Cederberg. 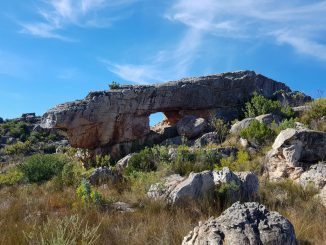 It takes a full day to hike there and the trail takes you through some of the most stunning terrain the Cederberg has to offer. 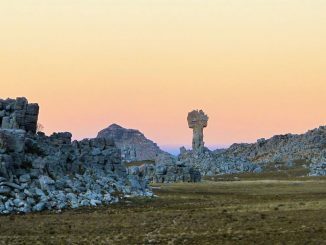 The site is nestled between two rocky outcrops on a level grassy patch, sprinkled with some large, shapely boulders and flanked by a bubbling stream with clear pools. Truly a bit of paradise. What made the discovery annoying was the knowledge that the culprits were all on an overnight hike – surely they should know better? We were a group of 6 friends doing a 5-day hike. This was our first overnight site and also the most remote of all the spots we stayed at. It was quite shocking to discover the amount of litter. There were numerous places where toilet paper and turds were left on camping spots, probably the result of carelessness or the inconvenience of rain. At a particular spot a large amount of rubbish (plastic, packaging etc.) was dumped and we also found some random items like an old pair of undies. Clearly this was not the work of one culprit, but of many hikers over an extended time. We could not in good conscience leave the place the way we found it, so we did a bit of a clean-up on the morning of our departure. To be honest, I did not think much of what we did – to me it seemed obvious that one couldn’t leave the mess. The only stretch was to collect other people’s loo paper, but some sharp sticks eased the gross-factor. In a group, lead by example: make it part of the trail-briefing to give instructions on how to deal with rubbish and pick up any litter found in nature. Do not be scared to confront people who litter; do it courteously and try to win their cooperation instead of just having an argument. If they don’t comply, clean up after them – it’s the right thing to do! Litter is like graffiti: one piece is often the cause of proliferation. Cleaning up may keep others from dropping their rubbish at the same spot. 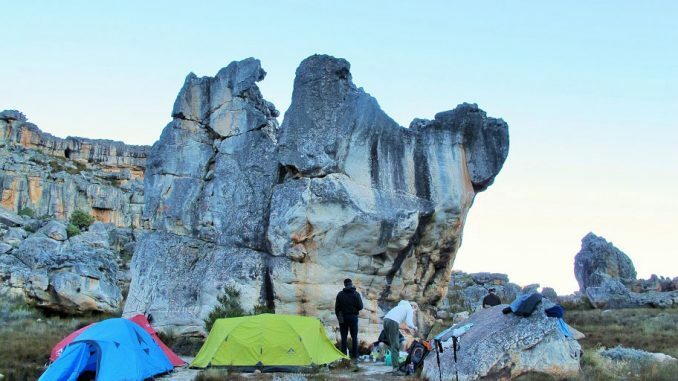 Toilet paper is by far the biggest culprit and is often found in completely inappropriate places: right next to crags, trails, water sources and campsites. The rule is to do your business at least 30m from any of the aforementioned areas; add 20m if it’s a #2. Toilet paper should preferably be carried out with you in resealable packets (Ziploc), or alternatively, bury the toilet paper by digging a hole, 15 to 20 centimetres deep; cover and disguise the hole when finished. Plastics, tins & other packaging should always be carried out. Plastic “spring water” bottles are the biggest plastic pollutant in the world and the industry should not be supported. I prefer stainless steel water bottles – they’re classy, indestructible, naturally BPA-free and your water tastes better. Lastly, do not wash in water sources that rely on seepage or slow running water. Rather fill containers and wash well-away from the source; it is not only to keep drinking water pure, but also to protect the sensitive eco-system. In fast flowing water, use only bio-degradable soap, and the minimum amount. 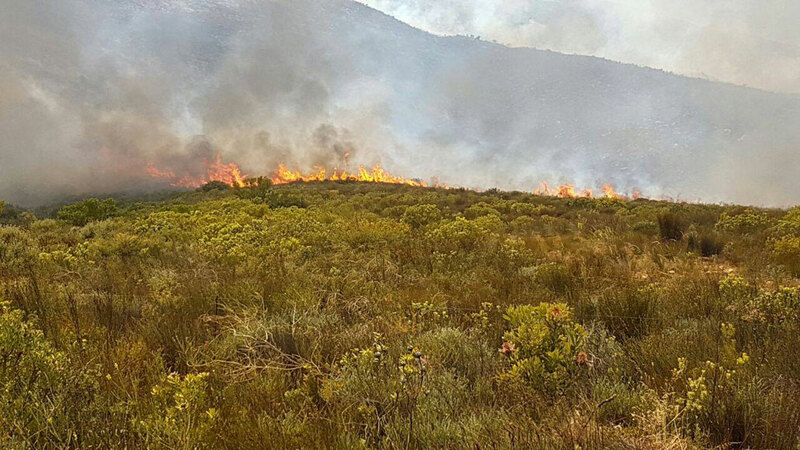 Wild fires are mostly man-made and can be devastating in areas with dense vegetation or strong winds. 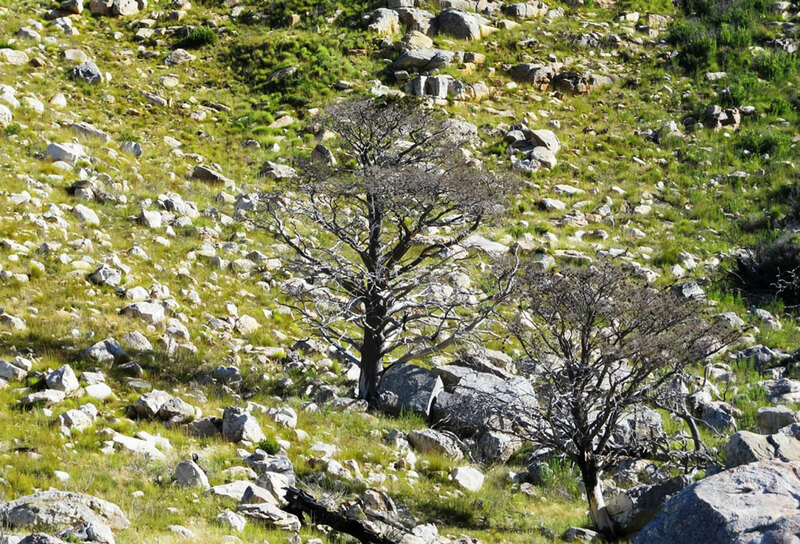 The numerous burnt skeletons of the slow-growing, endangered Cedar trees are testimony to this scourge in the Cederberg. I often happen on the remains of campfires in wilderness areas where it is strictly prohibited. 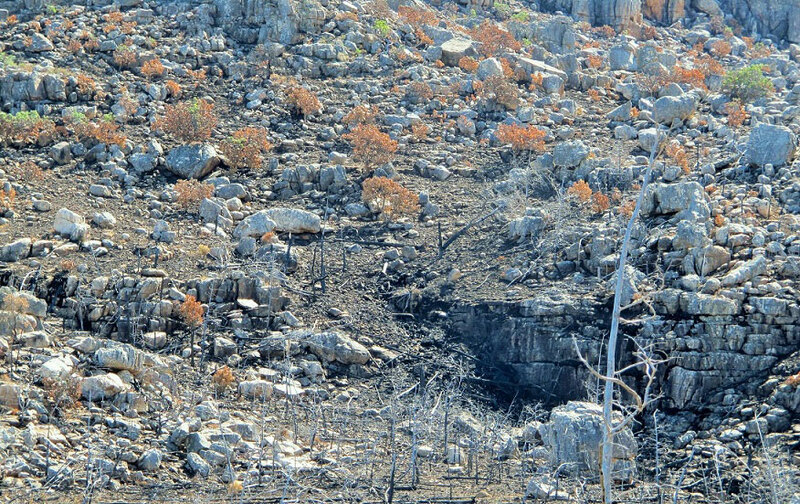 Fires can also start through discarded glass or rock fall (a massive wildfire near Ceres was started from a spark generated by an axe hitting a rock when clearing brushes). In December 2016, a young member of the Scouts started a devastating fire at the very same spot we cleaned up (Crystal Pools) when trying to burn his toilet paper in very dry and windy conditions. More than 16 000 hectares were razed and the famous Sanddrif campsite damaged. Inexperienced hikers should always be briefed on what is to be done with rubbish and that burning in those conditions is completely unacceptable. There is some controversy as to whether rubbish should be burned, ever. After a devastating 2016 fire season in the Cape, my stance changed and I think that the risk is simply too high. Even if some people can burn rubbish responsibly, the practice should not be advocated. There will unfortunately always be those who litter. It may feel unfair to have to clean up after them, but consider it an act of service to nature. 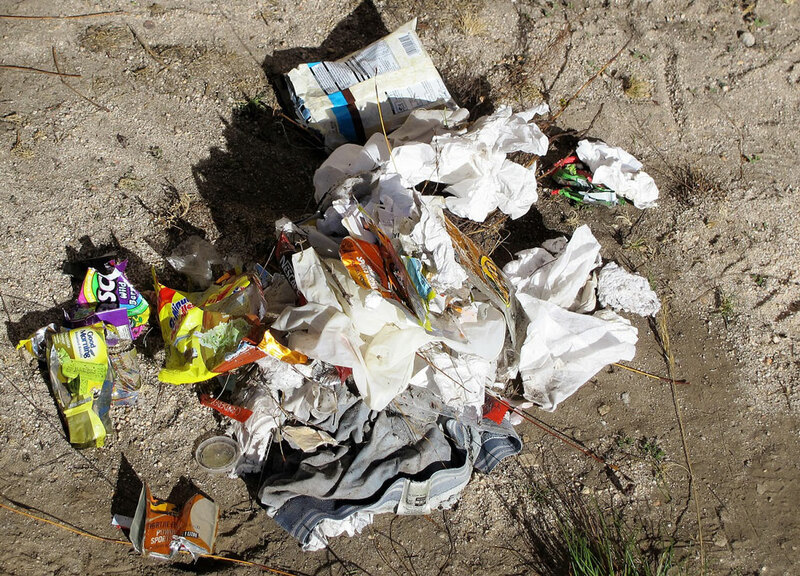 Littering is violence and cleaning up is taking care of the victim – it is something very positive and a privilege! 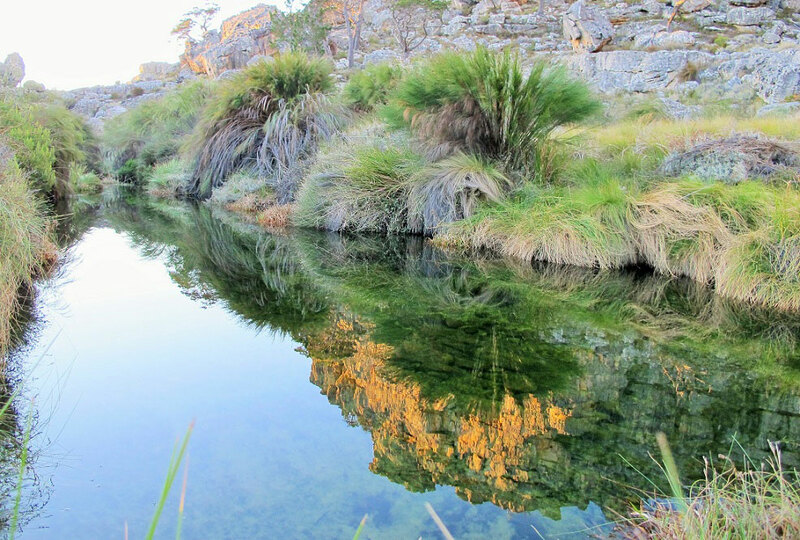 For more info on how to have minimal impact on nature, the Leave No Trace Principles are an excellent guide for sustainable outdoor ethics. 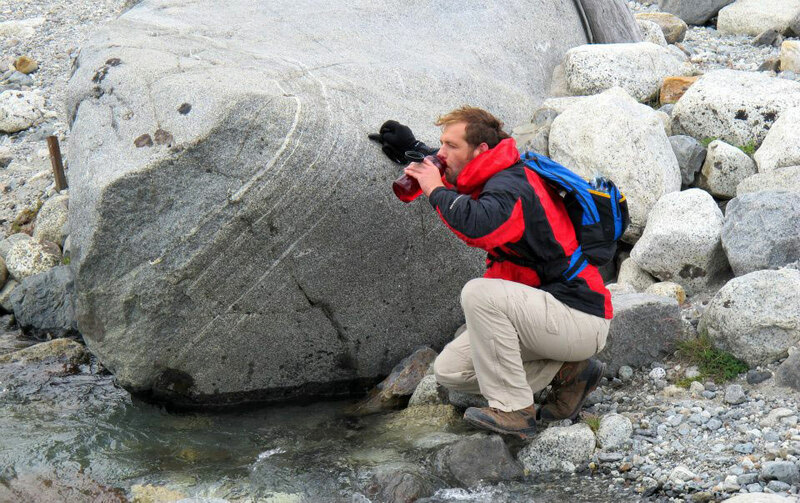 Willem is an actuary by profession and an adventurer at heart. He spends as much time as possible outdoors - camping, hiking, mountain biking, surfing and rock climbing are his activities of choice – and he enjoys reading and writing. 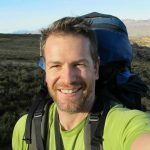 He has hiked and trekked in the Himalayas, Andes, Patagonia, Alps, Corsica and done the Camino Portugues, and thinks locally the Cederberg and Drakensberg offers some of the best wilderness-hiking experiences in the world. He is also passionate about conservation and sustainability. He lives in Cape Town. Few sights are more disgusting than the “rose gardens” of soiled toilet paper one can often find behind convenient bushes or rocks at camping sites on hiking trails. And the culprits are obviously people who should know better! Yet I have seen toilet paper described as the closest man has come to making something out of nothing. The mass of six sheets of 2-ply toilet paper is just 2.3 g and it is made from natural fibre. The equivalent amount of wood is a cube about 1.3 cm on edge. Every stick and twig is much more fibre than this, so why is used toilet tissue a problem? Its high visibility and health hazard has much to do with it. In some areas, particularly overseas, all used tissue must be carried out. While our club encourages placing damp tissue in a sealable plastic bag for disposal at home, we haven’t yet reached that stage with soiled tissue. So what to do? Some say burn it. In our dry country this has resulted in runaway bush fires. Others say just bury it. But if the earth is dry and it is exhumed later, it is back to blow around as unsightly and unhygienic as ever. I say wet it before filling in the hole! While toilet paper will burn, that is not one of its design criteria, however disintegrating to a pulp when wet is. It has to do this so as not to block water borne sewage systems. So why not use this property in the bush? This is what I do and it seems to work well. My “equipment” is paper, a small piece of soap, 500 ml of water and a trowel. The trowel I bought at Bush & Bundu in Pietermaritzburg. It is made by Cochlans, weighs just 52 g and is amazingly strong. I dig a hole or enlarge one where an animal has scratched for insects. When I am done, I wash the business hand with soap and some of the water, letting the water fall on the paper in the hole. Then I pour the remaining water onto the paper from a height of about a metre. You will then see (if you care to look) that the paper is no longer blindingly white and is well on the way to becoming a disintegrating pulp. Then I fill in the hole. Although sensitive readers may already have had enough, I can recount that when I returned a few weeks later to one of my personal middens, and did some excavation out of interest, there was almost no trace of what had once been toilet paper – and it was unrecognisable as such. So wetting and burying soiled toilet tissue seems to be an effective way of ensuring it speedily reintegrates into the environment and is never seen again. In South Africa where both the earth and the surrounding bush are likely to be dry, I think this is something worth encouraging. Please leave toilet paper at home and use wipes and put it in a zip lock bag and carry it out. Use a gents handkerchief in stead of tissues. A handkerchief has may uses.